Despite the proliferation of data protection laws (or privacy protection laws) in many countries, uncertainty still reigns as to who or what such laws actually protect. Most data protection laws seem to have been drawn up rather diffusely, with the justification that the huge variety of types of information and specific contexts give rise to a complexity that cannot be guessed at as information technology continues to develop. 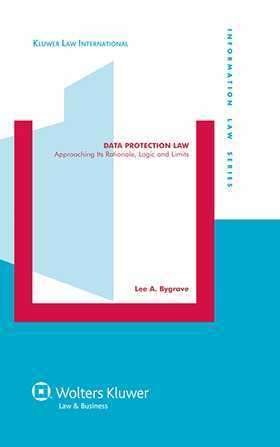 Nevertheless, as this ground-breaking book demonstrates, it is essential to understand as best we can why data protection laws are passed, what their regulatory mechanisms are, and wherein lies their particular effectiveness. the ability of these laws to control profiling practices. The author evaluates in detail the costs and/or gains and the interference (positive or negative) in the commercial, public administrative, and social spheres that data protection laws have the potential to create, with numerous references to legislation and administrative decision making in a wide variety of jurisdictions. This book promises to become a cornerstone in the new edifice of legal scholarship in this field. It will be of immense usefulness to lawyers, scholars, regulators and policymakers in this burgeoning area of the law.